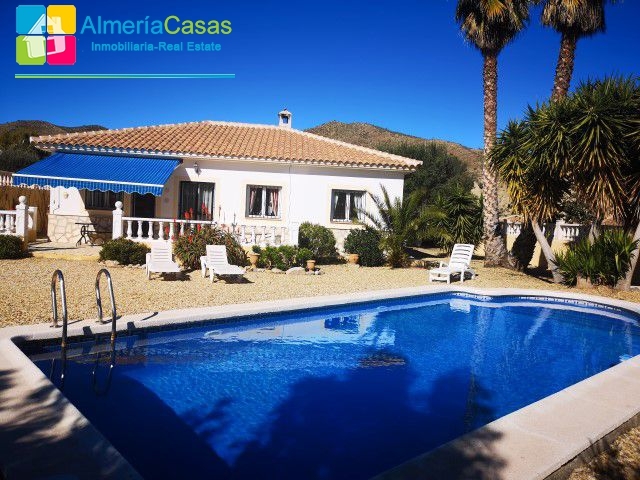 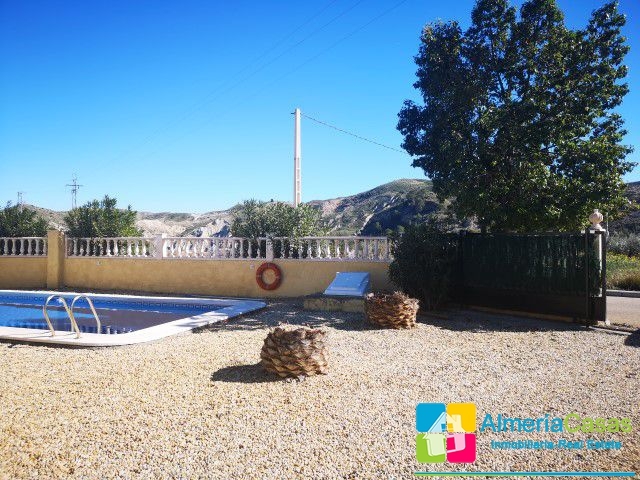 Fantastic villa with three bedrooms and swimming pool situated on a corner plot with lovely views located on the outskirts of Arboleas. 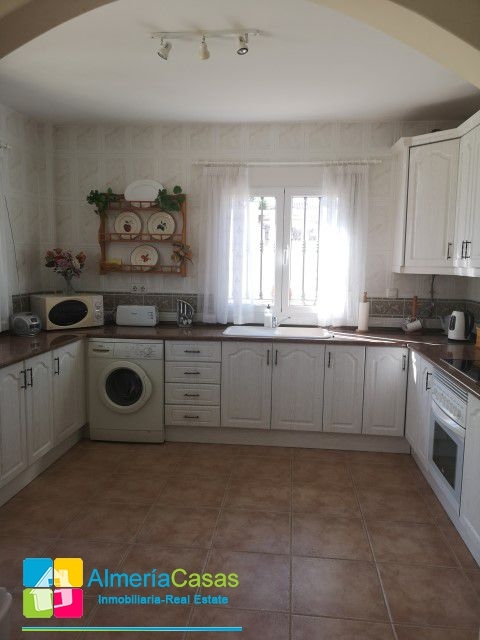 This property is definitely worth viewing! 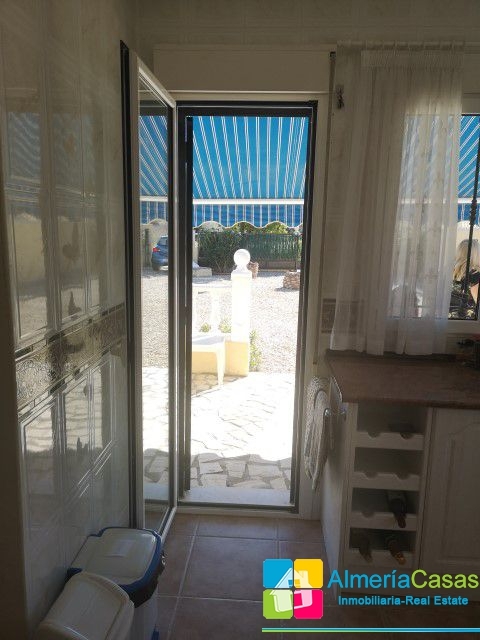 It is located just a 5 minutes? 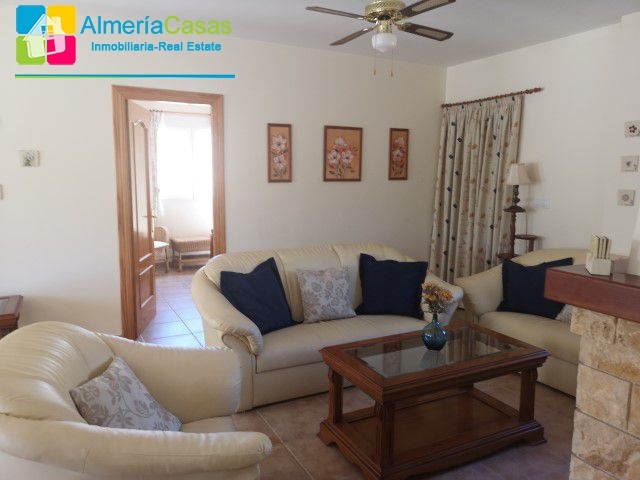 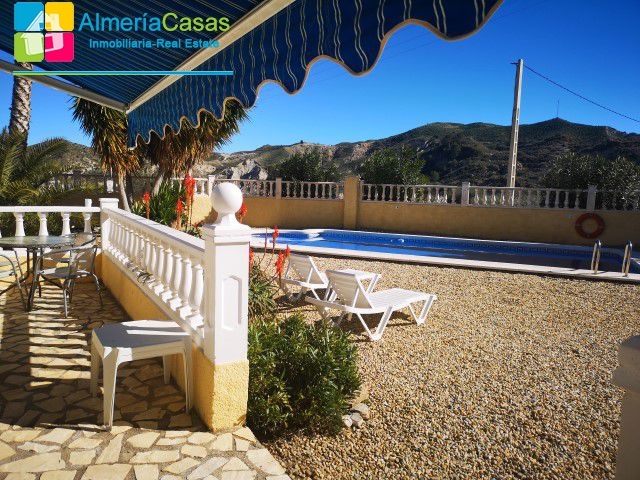 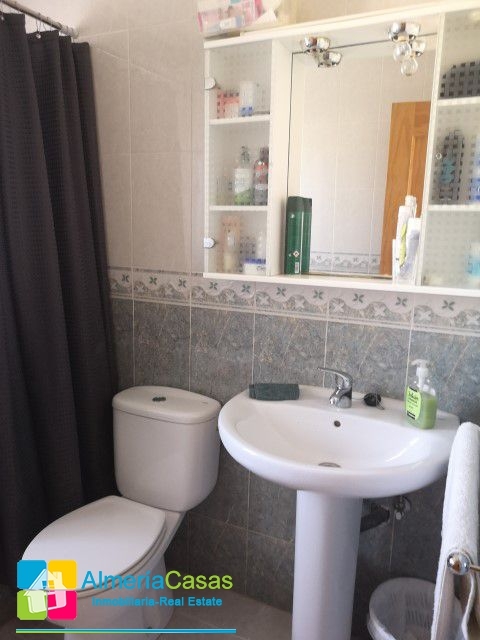 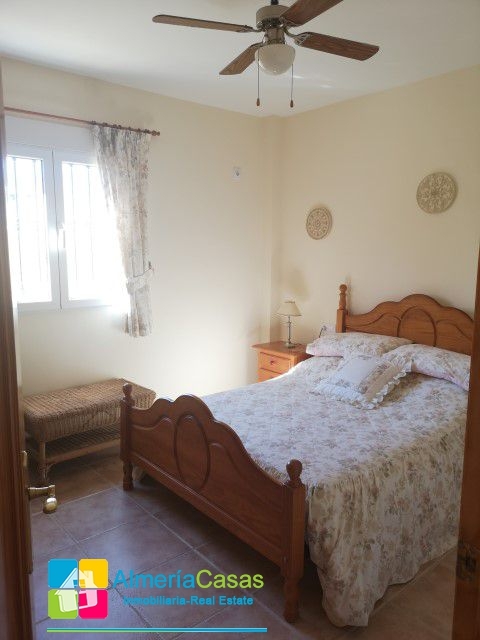 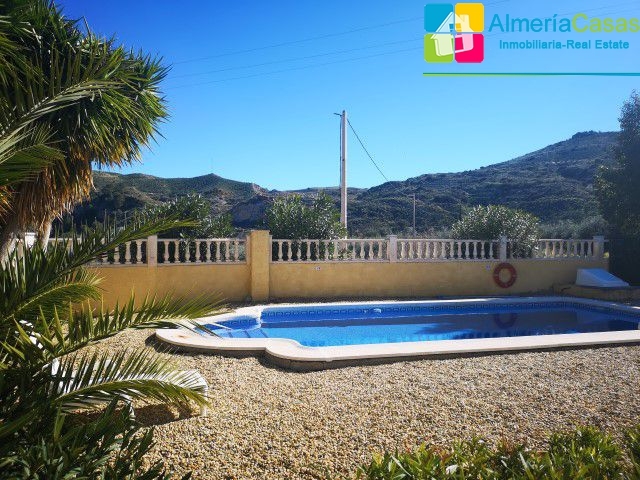 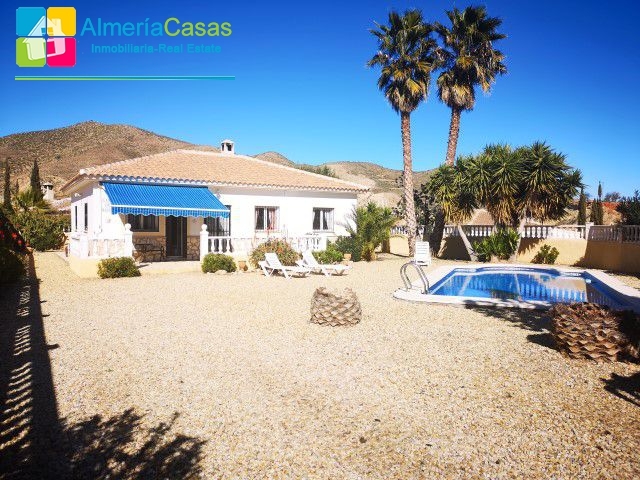 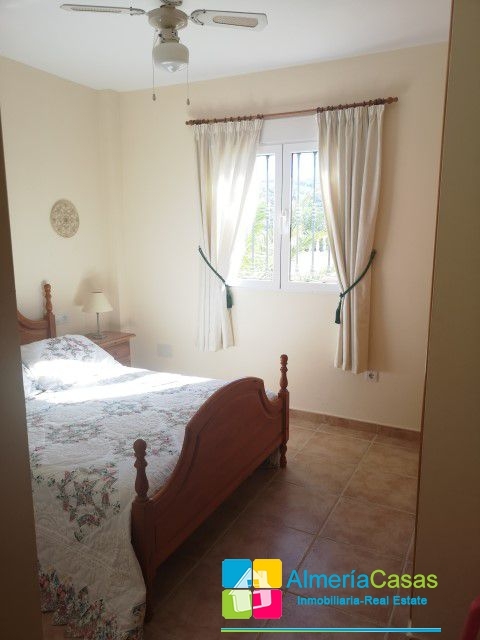 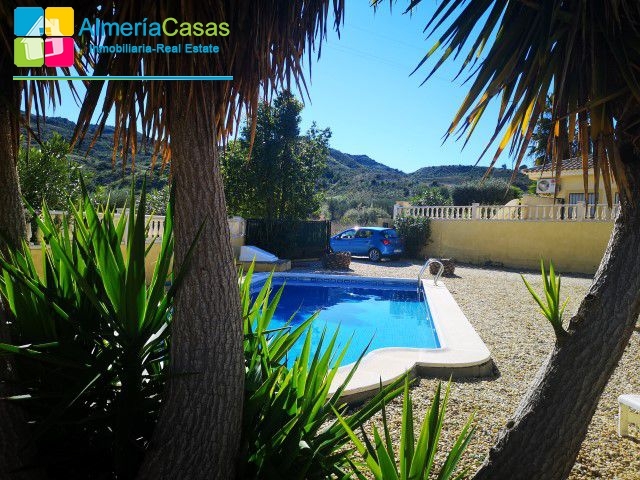 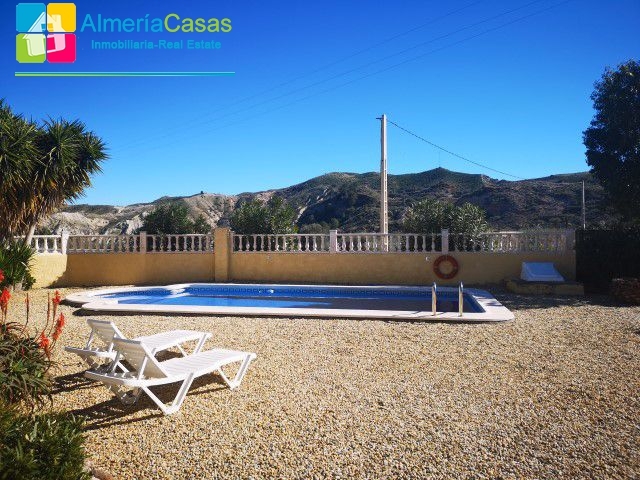 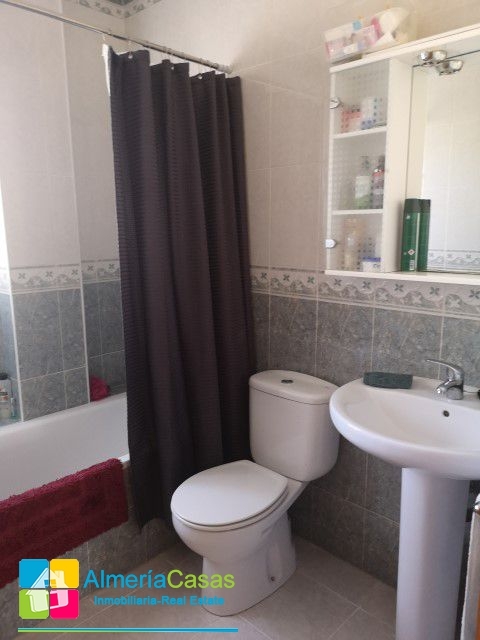 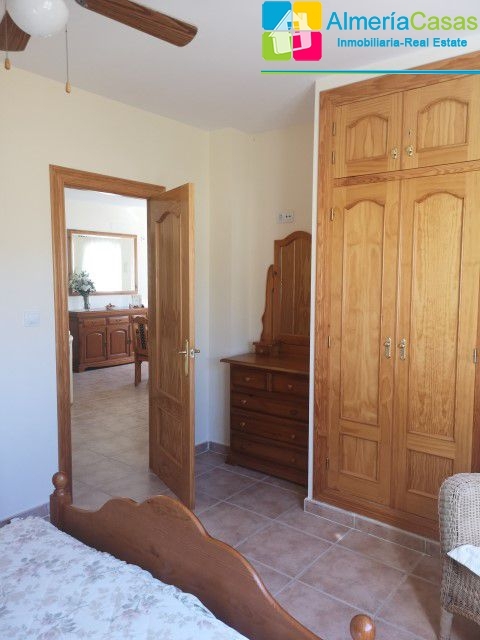 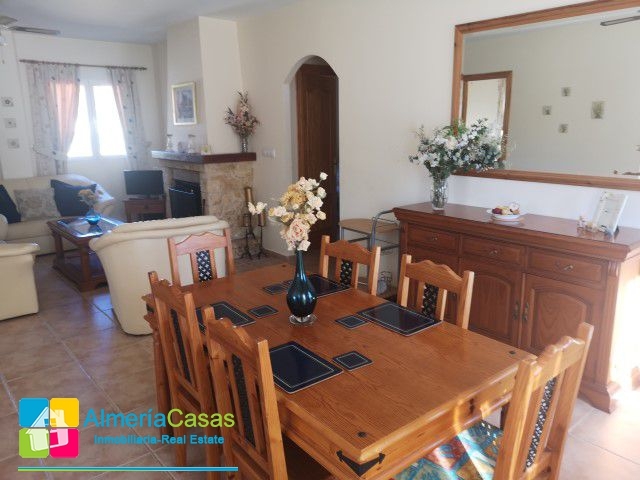 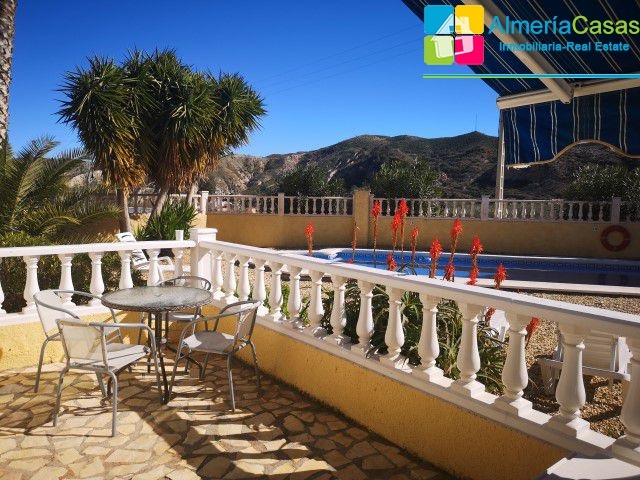 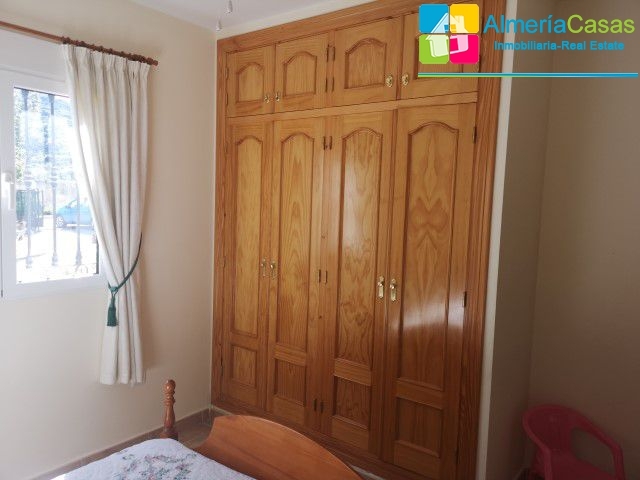 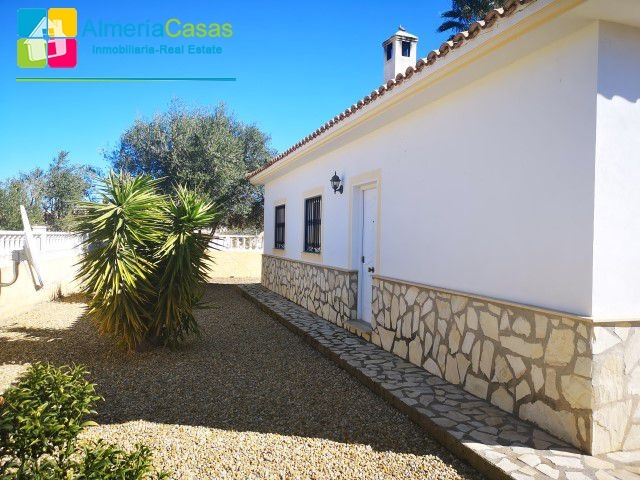 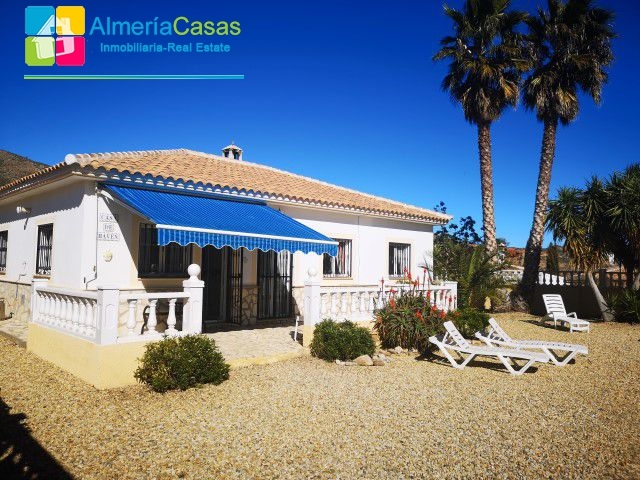 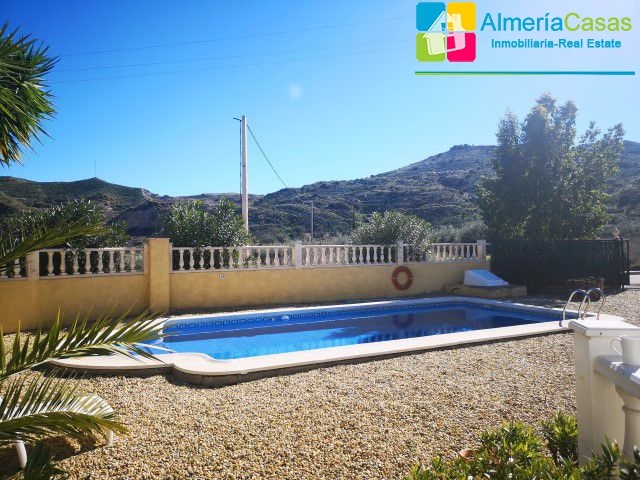 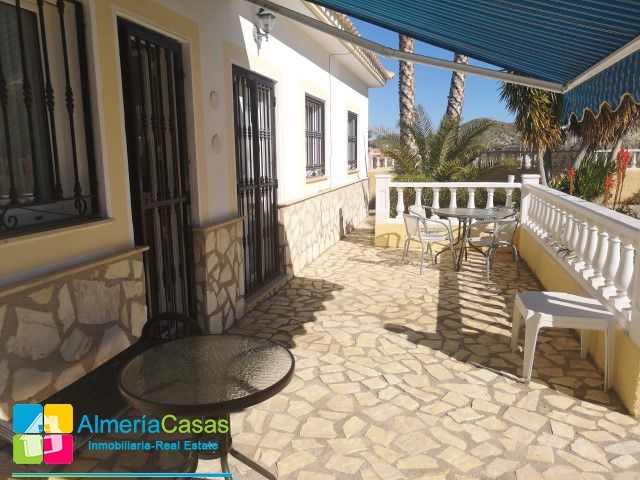 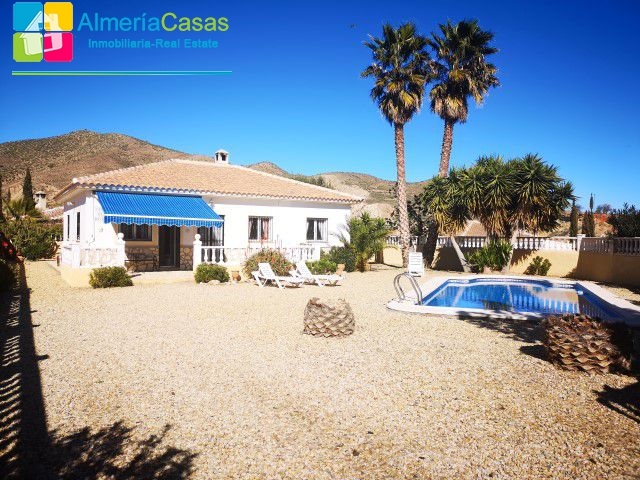 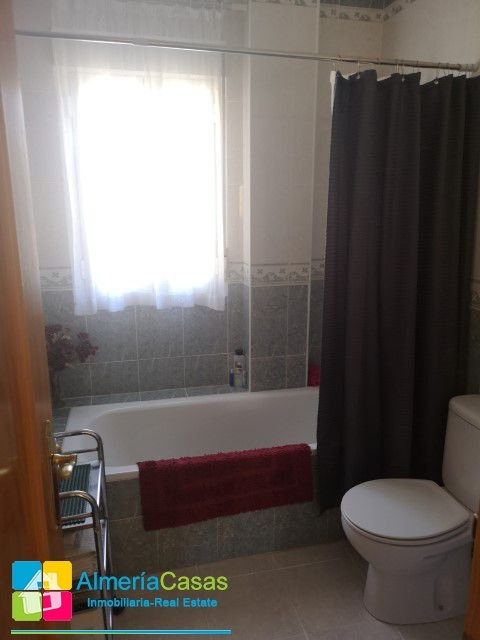 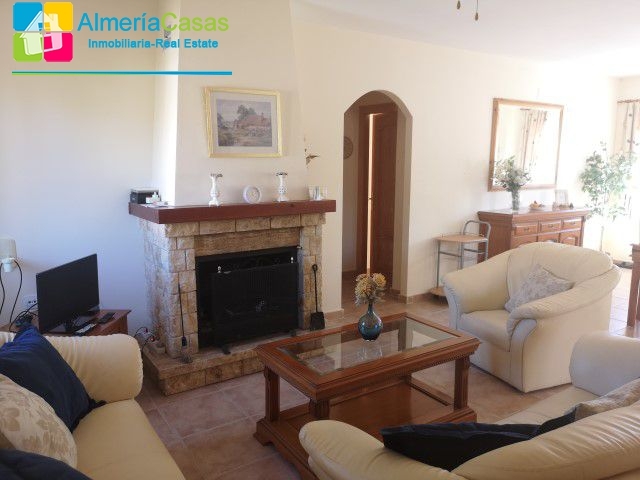 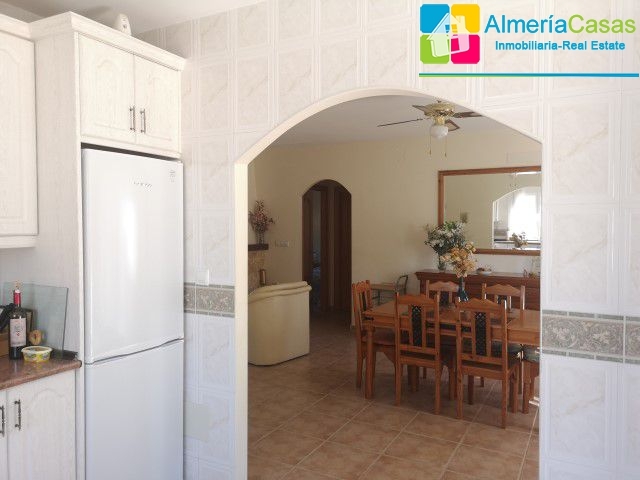 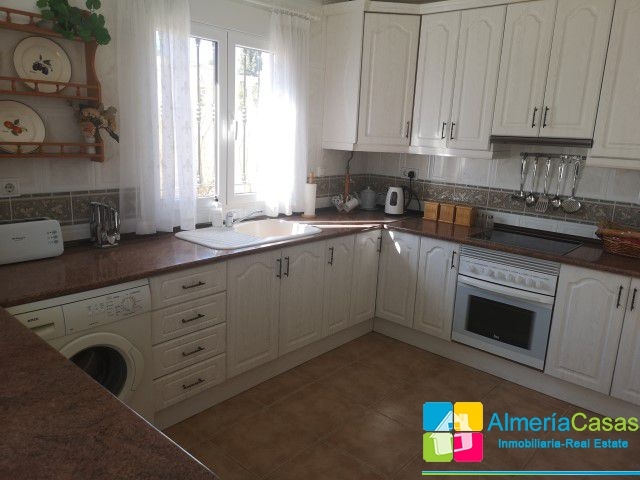 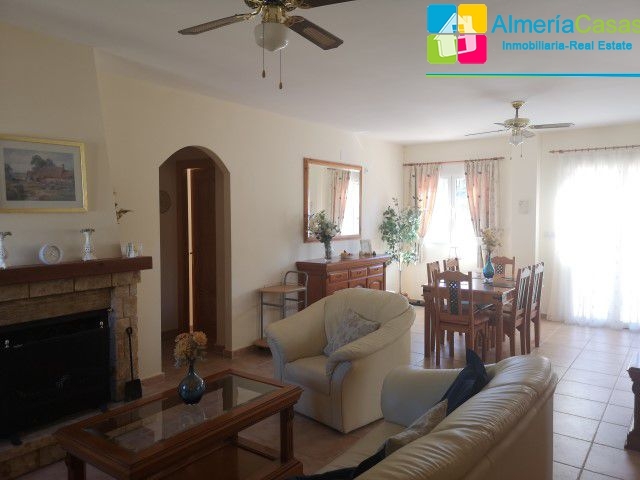 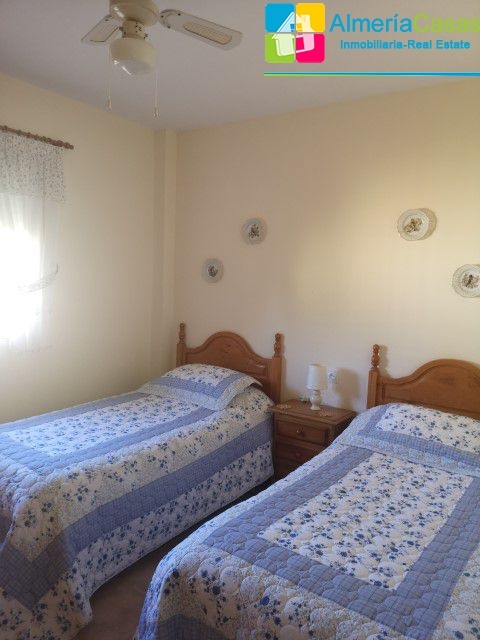 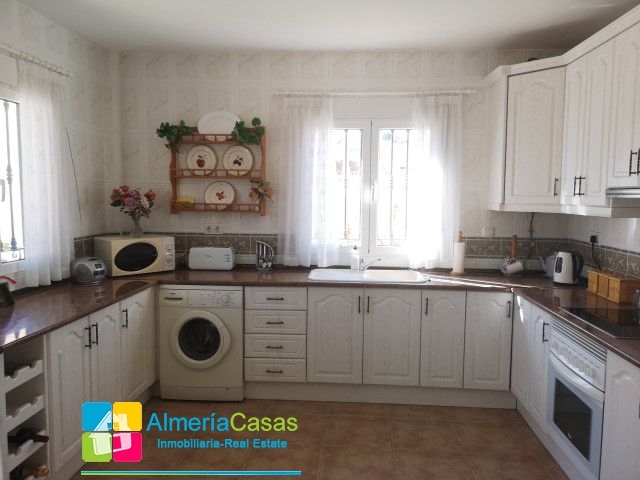 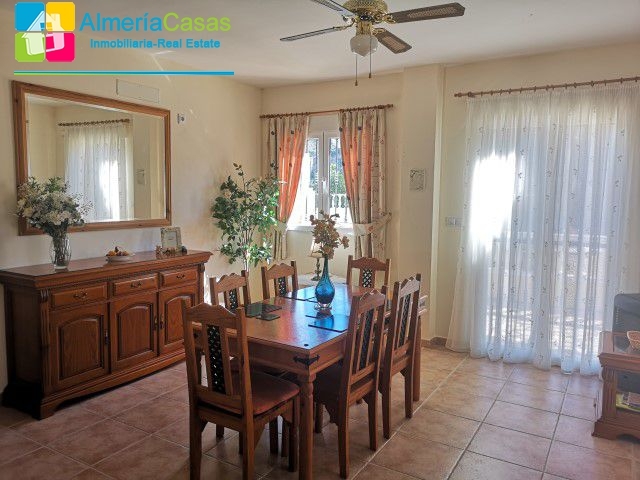 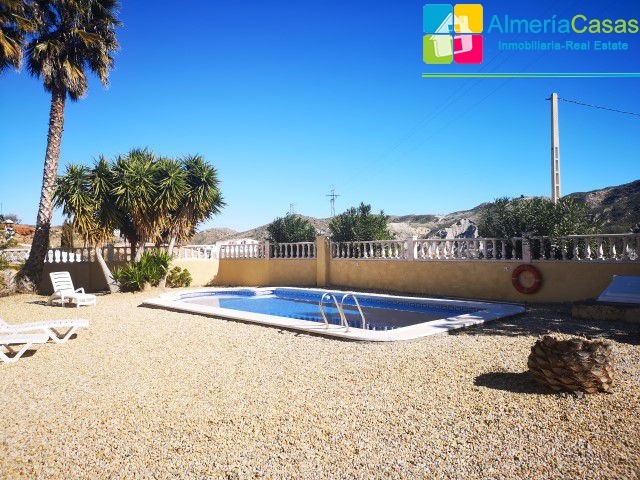 drive to the village of Arboleas where you can find all amenities such as small supermarkets, doctors, chemist, post office, bars and restaurants, bakers, banks etc. 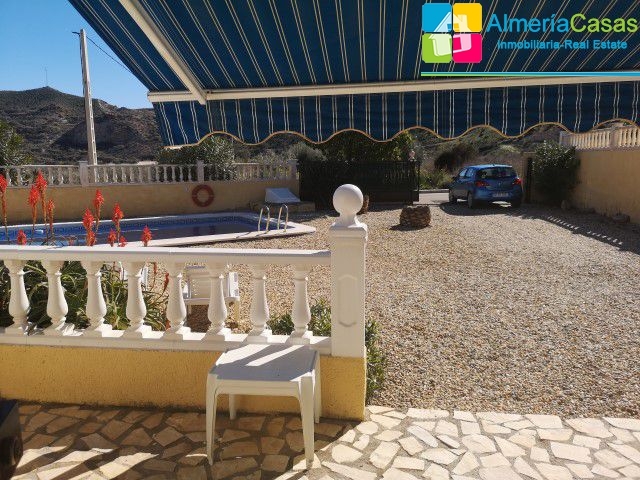 The larger market town of Albox is just a 10-15 minute drive away. 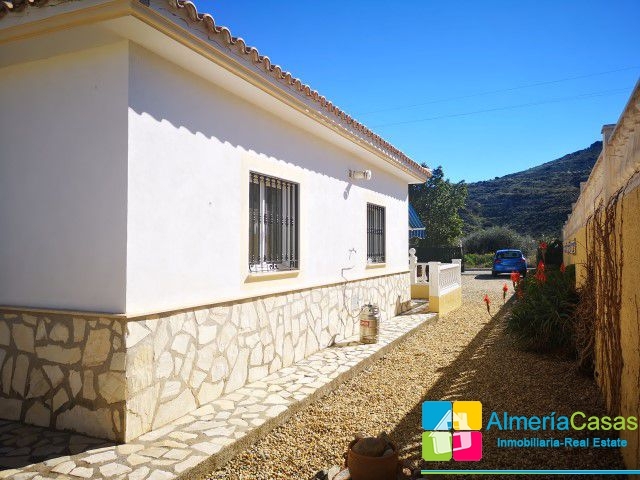 The corner plot is fully walled and gated and very private. 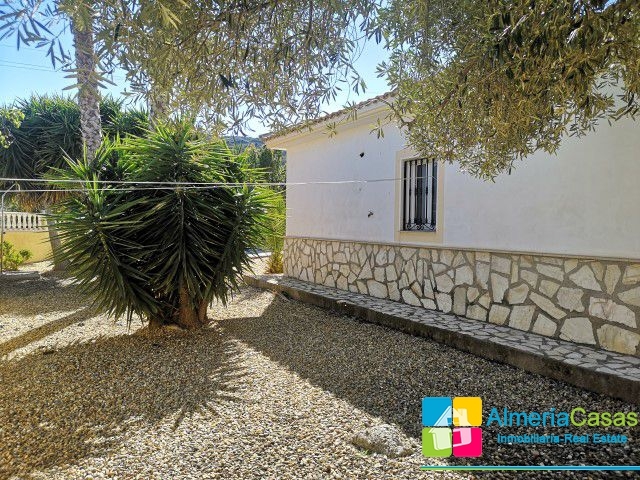 The garden is mainly laid to gravel and there are various planted trees. 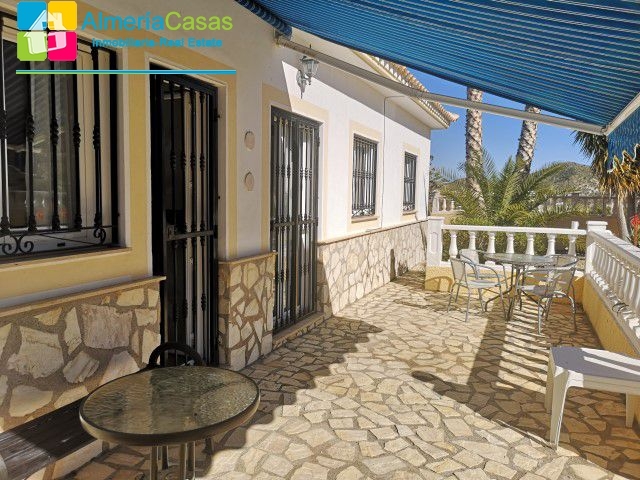 To the front of the property is a paved terrace which can be covered for shade with the pergola. 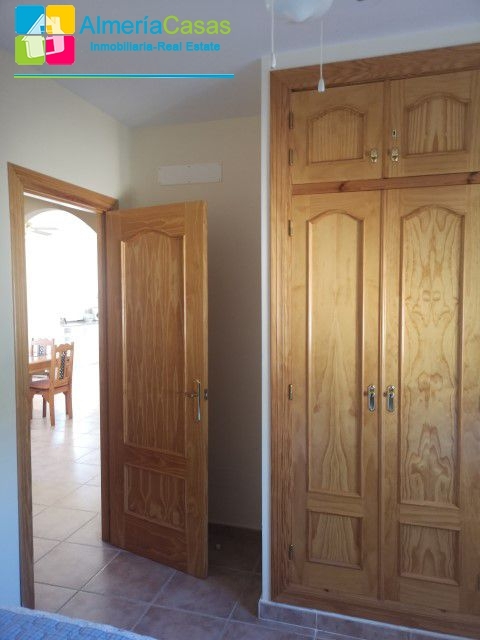 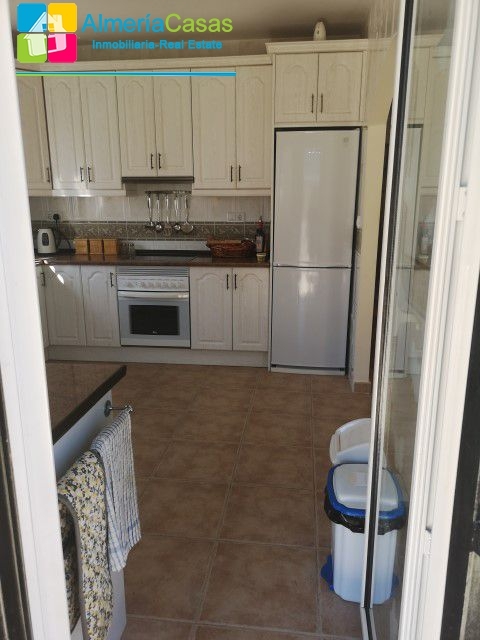 From here a door leads into the spacious fully fitted kitchen which is very bright and airy. 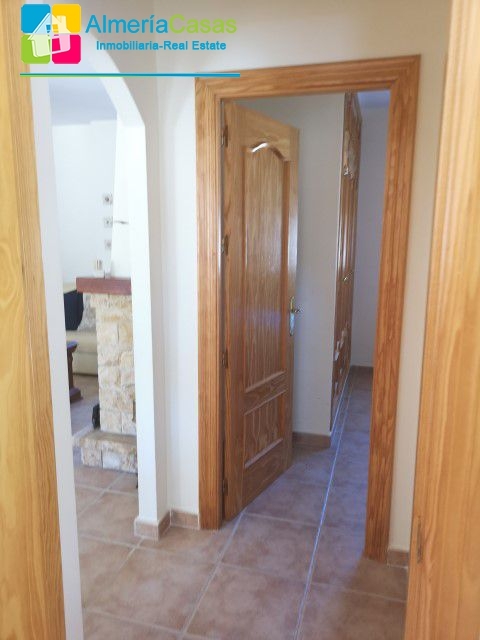 An arch then leads into the lounge diner with has french doors out to the front terrace, a feature log burner fireplace, a door to the rear garden and ceiling fans. 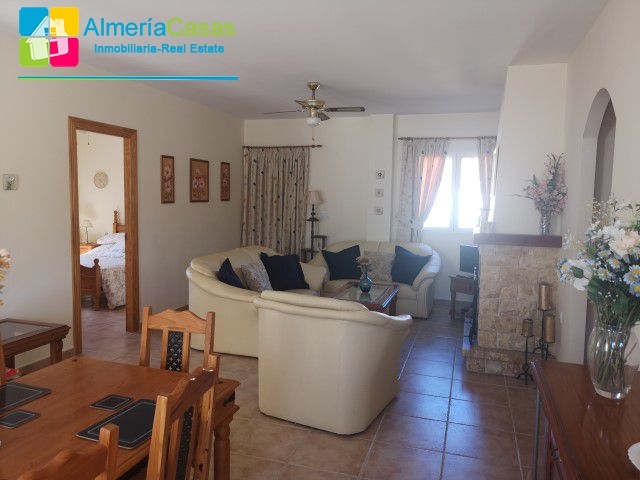 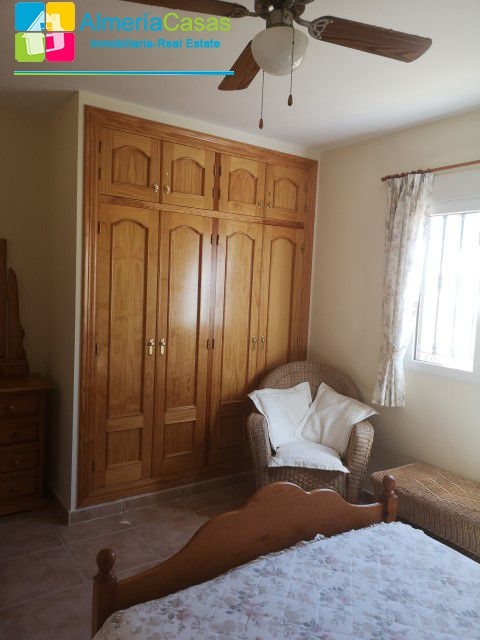 To the left of the lounge is a spacious double bedroom with also benefits from a ceiling fan and it has built in wardrobes. 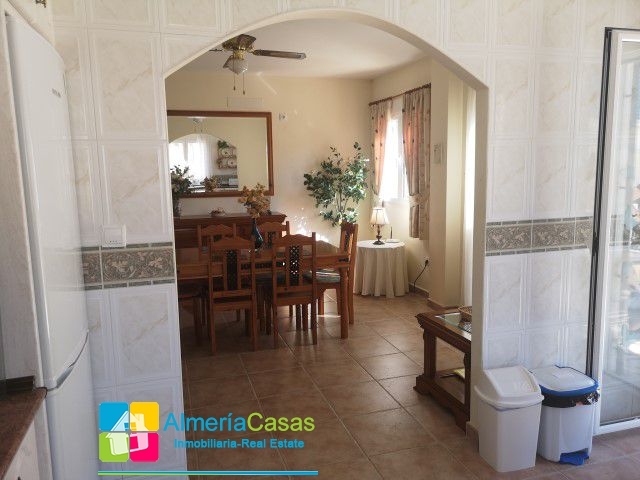 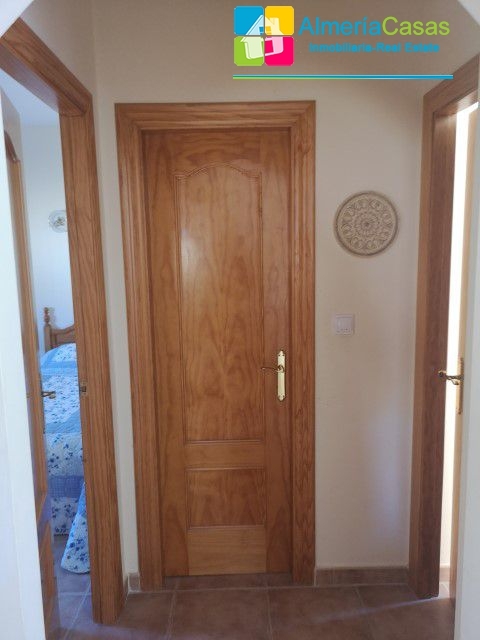 To the right of the lounge an arch opens into a small hall there are two other spacious double bedrooms both with fitted wardrobes and ceiling fans and there is also the family bathroom. 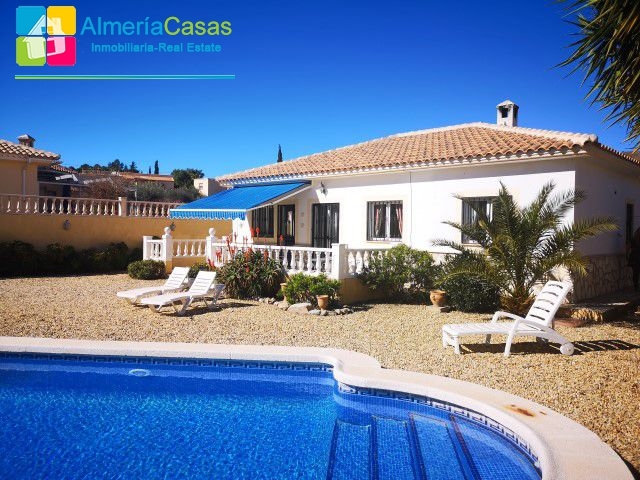 Outside the garden is mainly laid to gravel, at the front is the 8x4m swimming pool and there is lots of space around for dining and lounging. 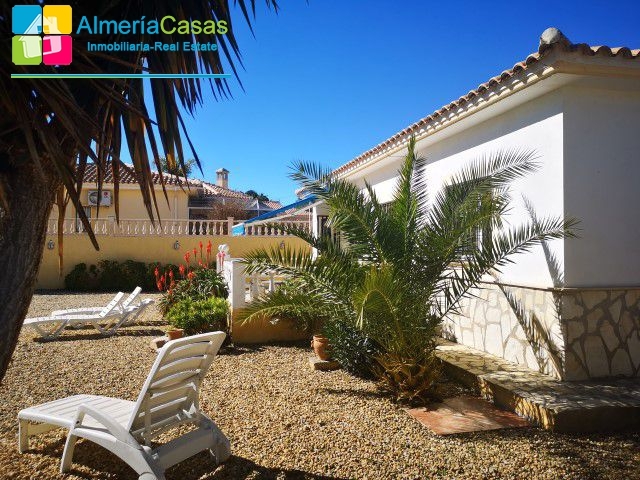 There are large palm trees, other trees including a big olive tree, plants and shrubs all around. 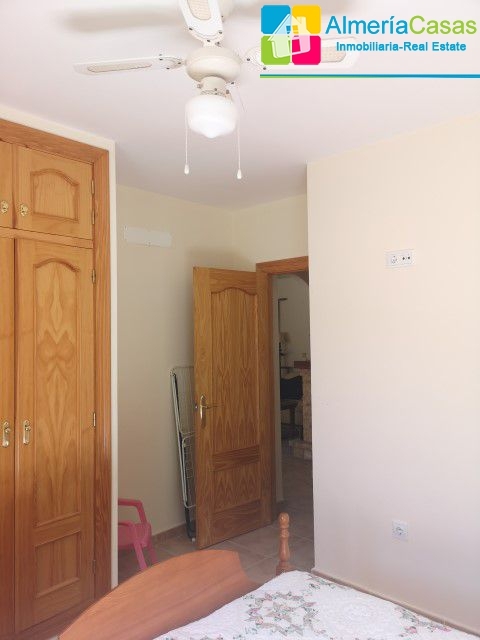 To the rear of the property there is a back-up water tank. 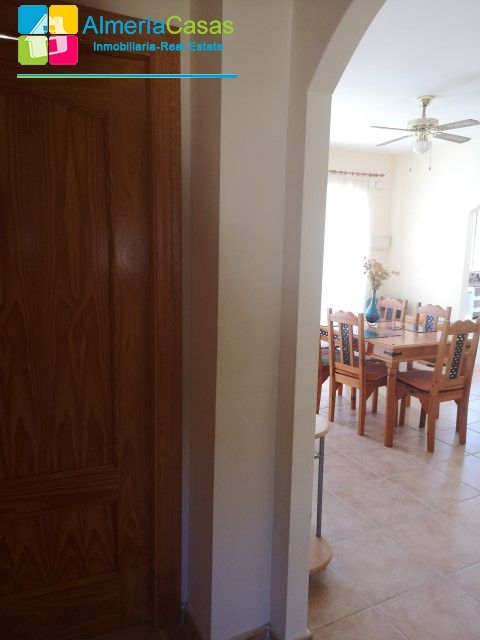 This property is sold as seen, the sellers are leaving everything!! 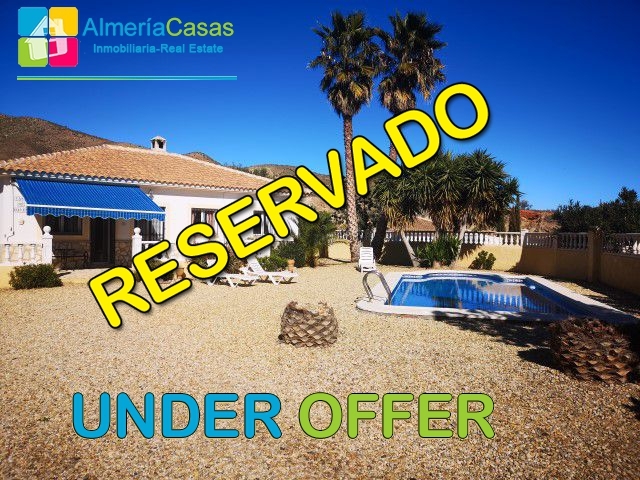 Don?t miss out on this opportunity!